Sometimes, you don't have to go far to get some good birds. Harvey and I traipsed all over south Jersey on Sunday looking for birds. We started at Higbee with Roxy and Hollie. Not much to see there but Hollie got a few new species. (BTW, Hollie is Jill's dog that I babysat over the weekend). She didn't need to use the binoculars to see this beauty. We headed up to Corbin City and got to see a Loggerhead Shrike which is pretty rare for Jersey. They are usually found down south. I don't have a photo since it was sitting pretty far out in the marsh. We stopped along the road on the way out of the marsh and I spotted this little guy. 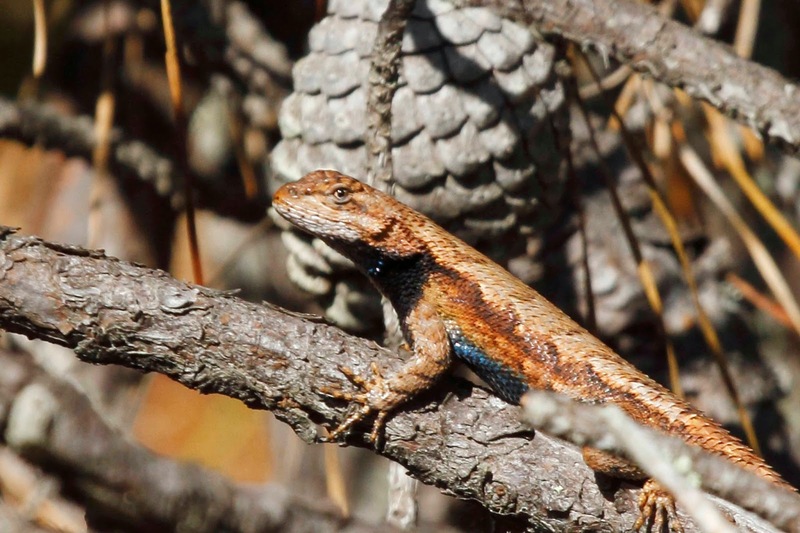 Its called a Fence Lizard and is the only true lizard in New Jersey. Check out the blue belly. Birding was pretty dead, so we headed home. Guess where all the birds were? Yup, in my yard. I grabbed the camera and started shooting. 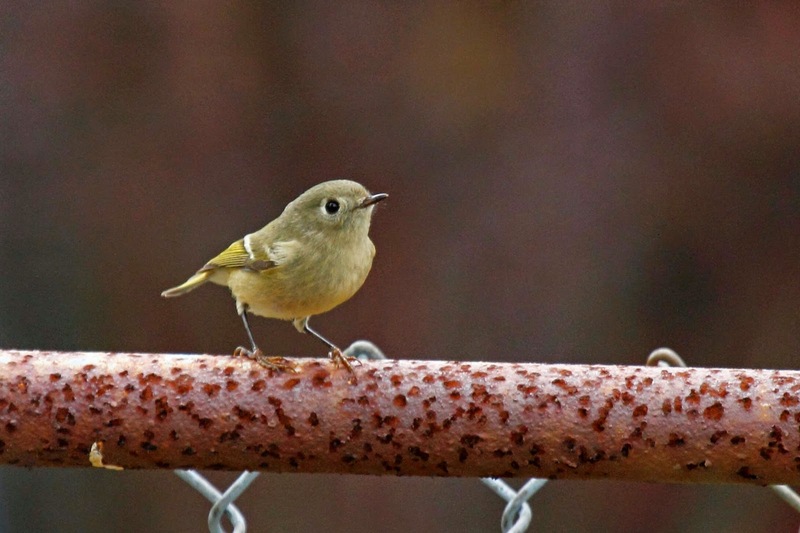 Speaking of fences, this Ruby Crowned Kinglet sure liked the cyclone fence between our yard and Mary's yard. He would sit there for a few seconds and then leap up and grab a gnat or other tiny bug out of the air. 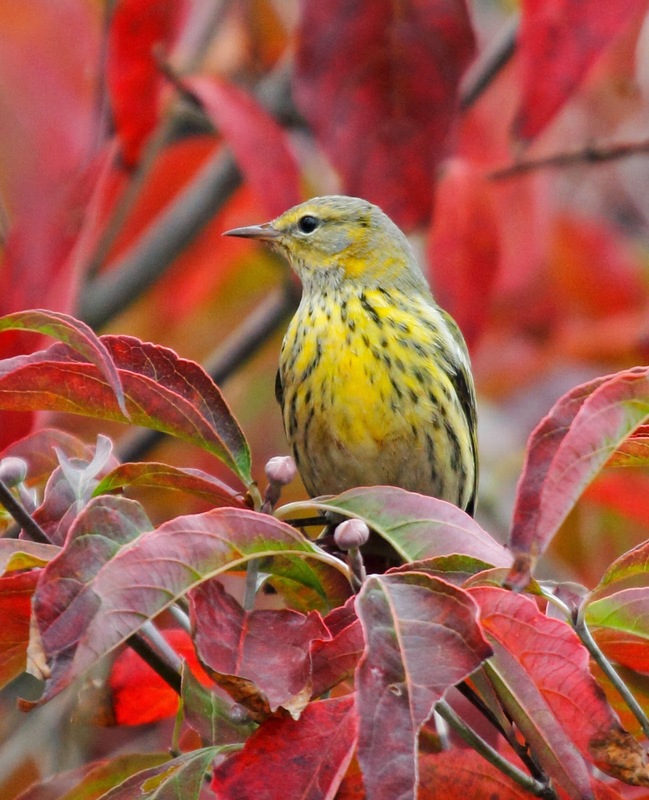 There were alot of Yellow-rumps but then this bird popped out of the bushes - a Cape May warbler! This was the best find of the day for me. He just loved this little dogwood tree. 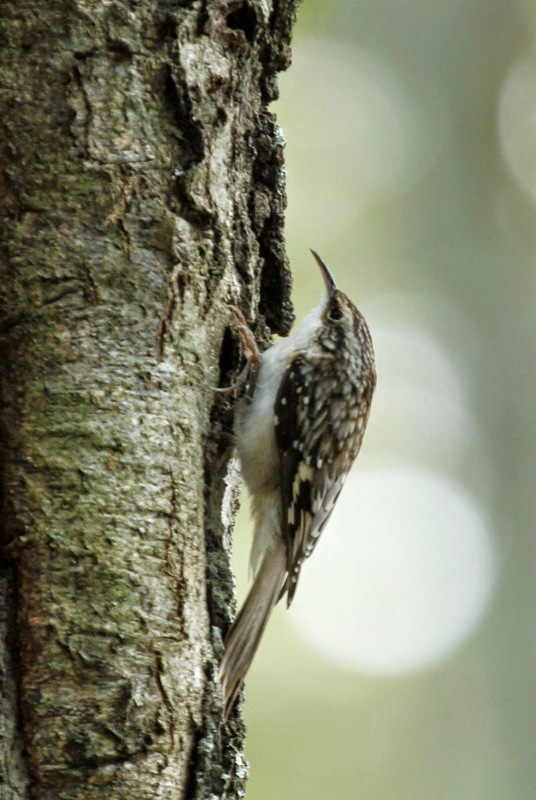 I spotted this Brown Creeper in the Cherry tree in the back yard. This is a unique bird in North America - the only one of it's genus. They are pretty hard to spot since they blend in with the tree bark so well. I happened to snap this side view. Check out the curved bill that the bird uses to find bugs under the bark. A nice end to a long day. Wow, all these birds, IN OUR YARD!?! How fortuitous! Wow! You really captured awesome images. 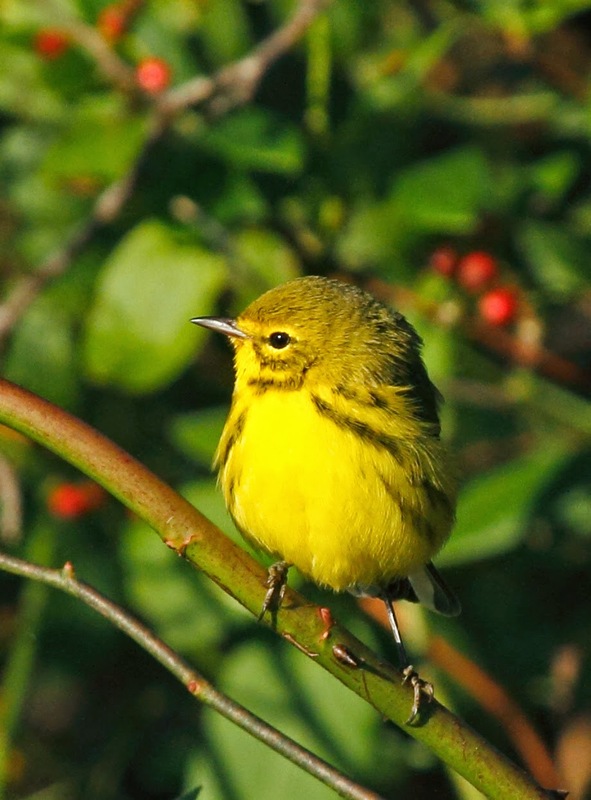 All birds are unique but I really like the Prairie Warbler. It is most gorgeous birds in the world. At this time I am enjoying the american east coast tours.